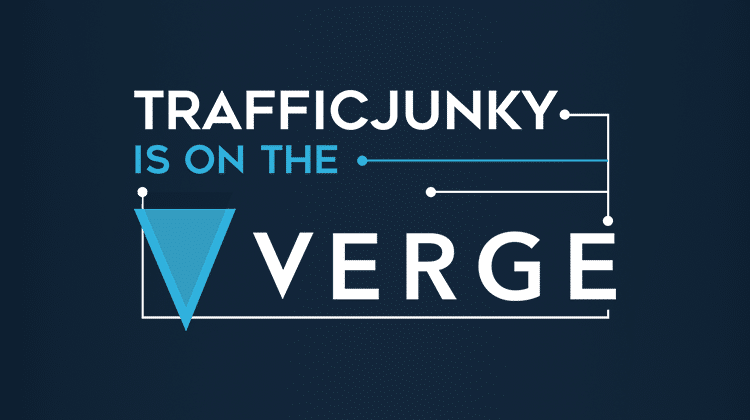 TrafficJunky, an online advertising network, which claims to be serving more than 4 billion daily impressions, has highlighted it will start accepting Verge cryptocurrency as a payment option starting from Monday, May 7th, 2018. The ads network made this disclosure a few weeks after Pornhub and Brazzer announced their partnership with the cryptocurrency. Pornhub, an affiliate of TrafficJunky network, was not revealed by Verge until 75 Million in XVG was raised during an announced crowdfunding which was succeeded by plummeted market value and preceded by Verge hack that made many see the cryptocurrency as unsecured and in some cases, a “scam”. A statement by TrafficJunky reveals that verified advertisers will be able to fund their accounts using Verge and tap into the TrafficJunky network which serves over four billion daily impressions. “Pornhub announced they’d be accepting Verge a little over two weeks ago and it was only a matter of time before we followed suit,” explains Rabih Boulmona, TrafficJunky’s Product and Operations Manager. Skeptics have raised different denigrations of Pornhub-Verge partnership, claiming it is needless and not in the interest of the Cryptocurrency space. While it was noticed that immediately after the announcement of the partnership, the trade value of Verge reduced maniacally, however, looking at the cryptocurrency market today, Verge is trying hard to regain confidence. In the last 24 hours, the price of verge has nosedived, however, it has been able to have around 10% increase in the last 7 days. Verge yesterday announced its block reward halving is on the way, saying the cryptocurrency will be halving at block 2,124,000. Analysts who weighed in on the concepts maintained that the altcoin’s block reward halving will make the quantity of new XVG earned by miners, with each block transaction reduced to, maybe, half of the present amount in circulation. The idea may raise the price of Verge higher than it is in the market.